This is a wish no father or husband should ever have to make, but at one point, it was one Damen Griego desperately hoped would come true. The day had been just like any other, Damen was wrapping up at work and his wife Cassandra, and their two kids were waiting to pick him up. As Damen climbed into the front seat of the car and began belting himself in, Cassandra inched the car out of the gate and onto the road. What happened next took place in the blink of an eye. A passing semi-truck swerved into their lane, smashed into the driver’s side of the vehicle, and sent the car into an uncontrollable spin. As the vehicle came to a stop, Damen tried to get his wits about him. He began looking around the car frantically trying to assess the extent of his family’s injuries. From where he sat, he could clearly see that his wife’s head was bleeding heavily and that their daughter was in a lot of pain. Damen quickly climbed from the vehicle and set about pulling his wife and daughter from the wreckage. Once he had the girls safely on the side of the road, he went back for his son, Josh. L to R: Cassandra Griego, Damen Griego, Thomas Salazar, Michael Hood, Matt Jansson, Josh Griego. Josh’s head had struck something during the crash. The entire left side of his skull was fractured and the force from the trauma was causing his brain to swell. It was clear the paramedics were now racing against time. They needed to get Josh to the nearest trauma facility and they needed to do it quickly. As they loaded the family into the ambulances and rushed them to Parkview Medical Center, they radioed the hospital to let them know they were coming. After getting details from the paramedics, the clinical team at Parkview knew immediately Josh would require a higher level of specialty care. Acting quickly, they requested an air transport from Southern Colorado CareConnect in La Junta. Josh would need to be flown to the Children’s Hospital of Denver, two hours away in Aurora. 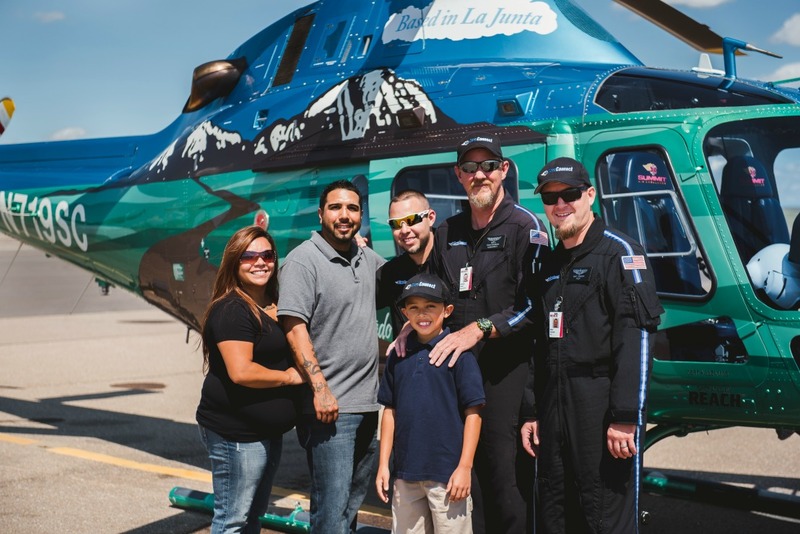 Pilot Matt Jansson, Flight Nurse Thomas Salazar, and Flight Paramedic Michael Hood were the team that was going to get him there. 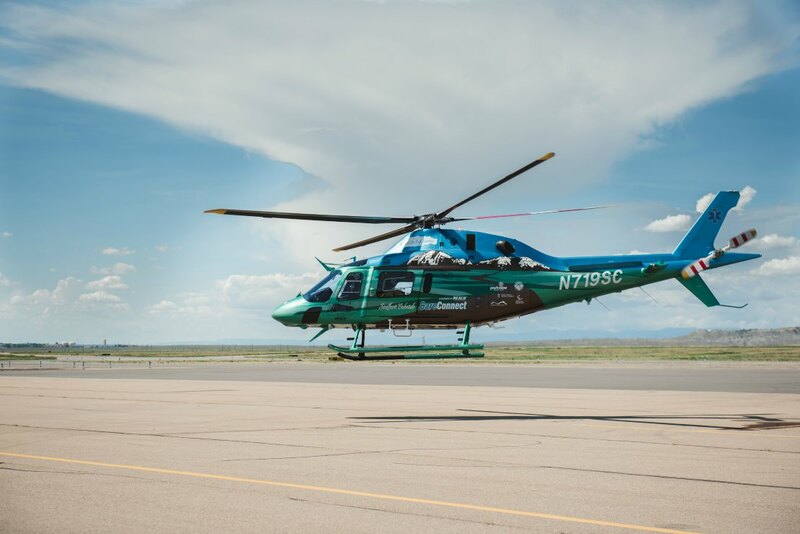 CareConnect provides emergency air transport to communities throughout southern Colorado. “The hospital pre-launching us was paramount in getting Josh to Children’s Hospital as fast as possible,” said Matt. Landing minutes after the paramedics arrived; the flight crew walked into the emergency department as the clinical team was finishing preparations for Josh’s transport. For the flight crew, the gravity of Josh’s situation hit very close to home. Matt has two young daughters, Michael is a grandfather, and Thomas is a father of three. The crew of CareConnect is proud to provide life-saving care to their community. As the crew loaded Josh into the aircraft and lifted off for Aurora, Damen was still reeling from the shock of the accident. Running from one hospital room to the other, one of Damen’s friend finally stepped in and reminded him they needed to get on the road so they could be with Josh that night. 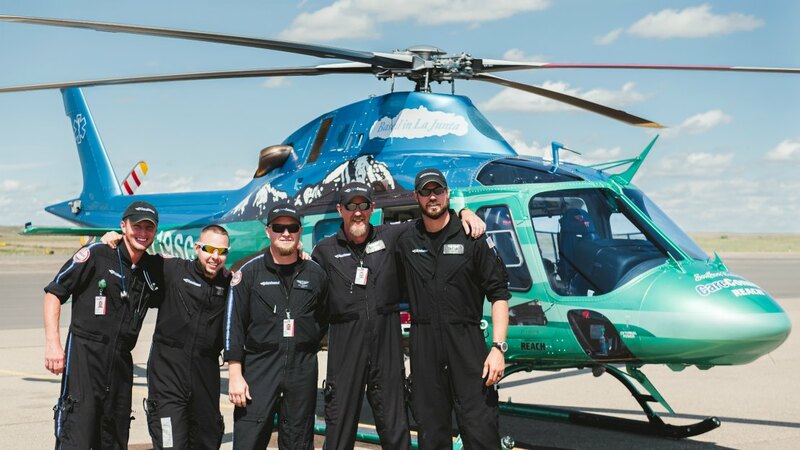 As Damen was saying his goodbyes to his wife and daughter, the CareConnect helicopter was touching down at the hospital in Aurora. Michael and Thomas delivered Josh into the hands of the medical team that would prepare him for neurosurgery. Thanks to the expertise of his surgeons, Josh’s surgery was a success. In the weeks following, Josh began to show signs of improvement. The doctors prepared the Griego’s for the possibility of their son being in the hospital for over a month. However, two weeks after the accident, Josh was healthy enough to go home. When we spoke to Damen, he was proud to report everyone was home from the hospital and that his family was well on their way to recovery. As for Josh, he only continues to impress everyone with his strength and perseverance.